ON NOVEMBER 9, Notre Dame welcomes a prestigious guest to cam­pus for the highly anticipated Embrac­ing Diversity Lecture. Donald M. Kerwin, Jr. will be speaking in LeClerc Auditori­um starting at 7 p.m. about contempo­rary issues ranging from migration to refugee protection, which will then be followed by a Q&A session. Mr. Kerwin has served as the Executive Director of the Center for Migration Studies (CMS) since 2011. Previously, he was the Executive Direc­tor for the Catholic Legal Immigration Network, Inc. (CLINIC) for nearly 16 years. Currently, he frequently writes and speaks about topics such as immi­gration policy, refugee protection and national security as the Executive Editor of CMS’s Journal on Migration and Hu­man Security. Sister Mary Kerber, Director of Campus Ministry and Service, first heard Mr. Kerwin speak at a panel organized by the Catholic Relief Ser­vices earlier this year. Upon seeing the unique approach he takes in allowing people to grapple with the real-life situations at hand, Sister Mary believes the Notre Dame community could gain a lot through Mr. Kerwin’s talk. Essentially, what began as a simple conversation between Sister Mary and Sister Sharon Slear, Dean of the School of Education, eventually evolved into a joint effort among the Office of Inclusion and Community Standards, Campus Ministry and Ser­vice, and School of Education to coordi­nate a public lecture about what it truly means to embrace diversity. This collaboration is a response to recent political discourse surround­ing the nation’s borders, as well as the alarming rate of displacement wit­nessed across the globe. In 2016, the United Nations High Commissioner for Refugees (UNHCR) released a report entitled Global Trends that estimates 65.3 million people were displaced by the end of 2015 as a re­sult of persecution and war. To put that into perspective, approximately one in 113 individuals around the world were either asylum-seekers, internally dis­placed persons or refugees. Undeniably, forced displacement has reached an all-time high over the past five years, and the rate only con­tinues to increase dramatically by the minute. Yet despite its promise of liberty and security, the United States under the Trump administration has threat­ened to curtail immigration, whether through the imposition of the infamous Muslim ban, the termination of the Deferred Action for Childhood Arrivals (DACA) program or by capping refugee admission to a mere 45,000 people—the lowest the country has seen since 1980. Fortunately, the Notre Dame community prides itself on its diverse and inclusive narrative. This is especially made apparent through the Loyola-No­tre Dame Library’s latest exhibit, “Snapshots of Diversity at Notre Dame of Maryland,” which showcases an ex­tensive collection of artifacts that span various periods of the university’s past. Diversity, it seems, has always been strongly embedded in Notre Dame’s history and heritage. Thus, Sister Mary Fitzgerald, Sister Sharon Slear, and Dr. Brandy Garlic, Associate Dean for Inclusion and Community Standards, were prompted to act given the contentious state of international and local policies. 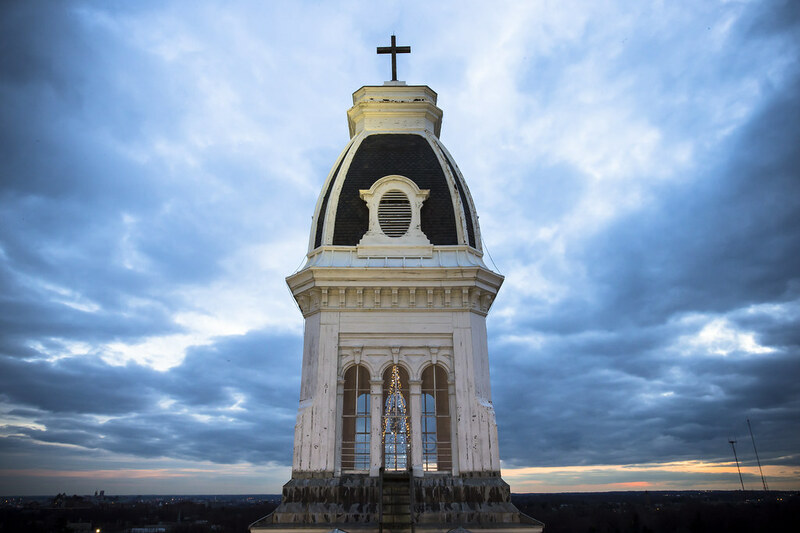 Recog­nizing the importance of tolerance and inclusivity, they decided it was crucial that the Notre Dame community be informed of immigration and refugee matters, embodying the university’s mission to educate leaders to transform the world. Katherine Martínez, a sophomore English and Spanish double major, hopes that students will attend the lecture with open ears and open hearts. She anticipates that it will not only spark healthy and productive conversa­tions among the community but that it will also encourage members to be proactive in embracing diversity. Sister Mary shares a similar sen­timent in that she hopes, as a com­munity, to find ways to get involved in advocating for “the kind of America we want.” Whether it is utilizing online resources to fully understand the issues, conversing with others to get to know their stories or volunteering through or­ganizations such as the Esperanza Cen­ter or Immigration Outreach Service, the Notre Dame community must be willing to put itself out there for those who most need help.